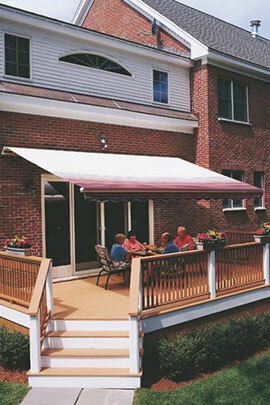 Now simply press a button and get cool shade and protection instantly. 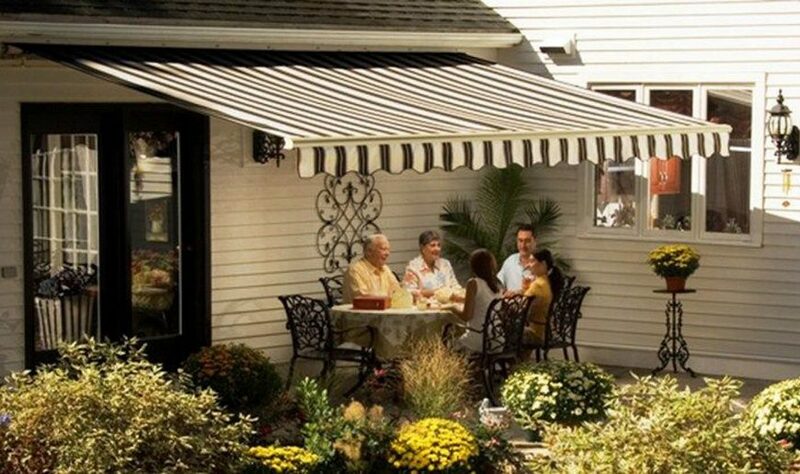 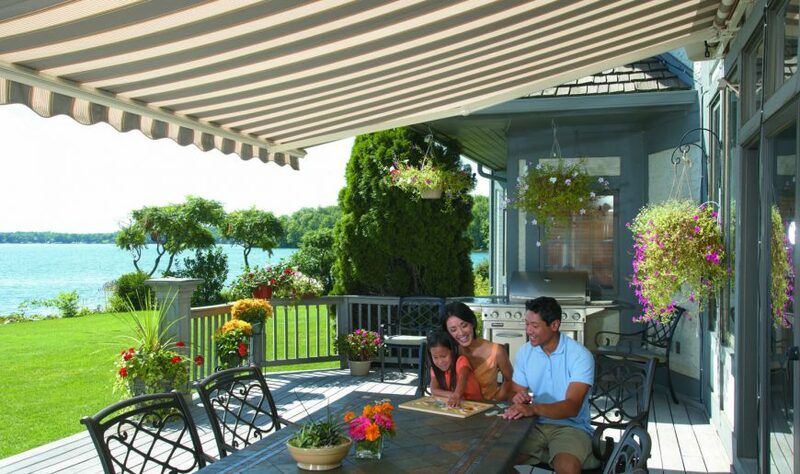 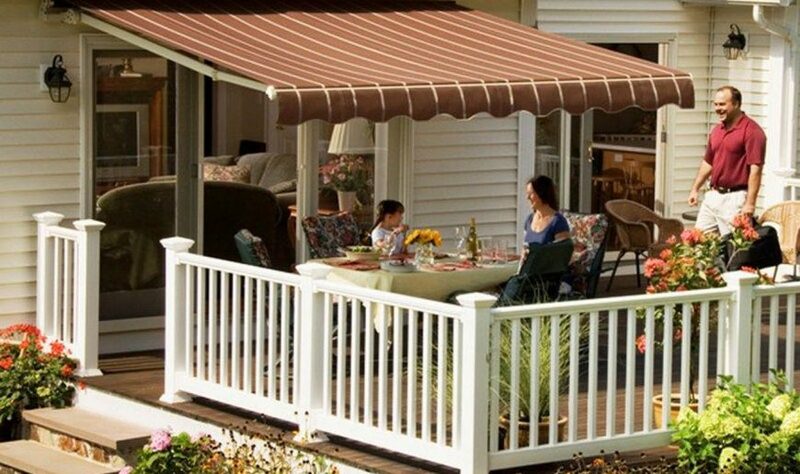 The Motorized and Motorized XL Awnings operate effortlessly in seconds, so you can control the weather on your deck or patio. 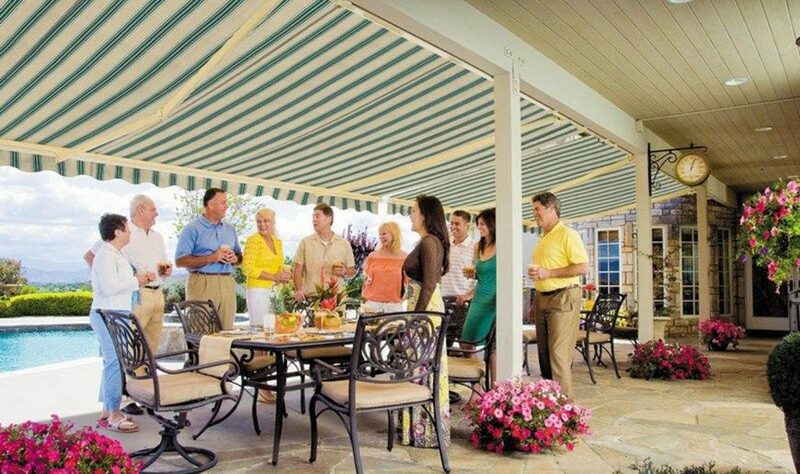 They are the ultimate in convenience, protection, and affordability. 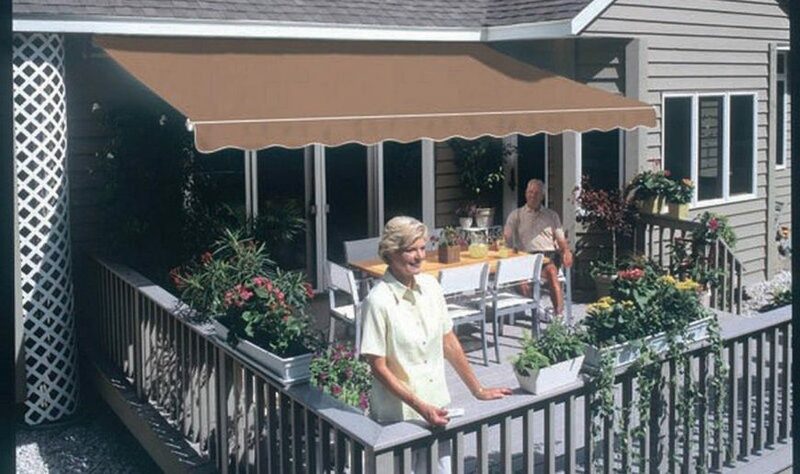 The Motorized XL Awning is identical to the standard Motorized model, except that it offers greater projection (it extends out from your house up to 11 ft. 8 in - see details on the right.) 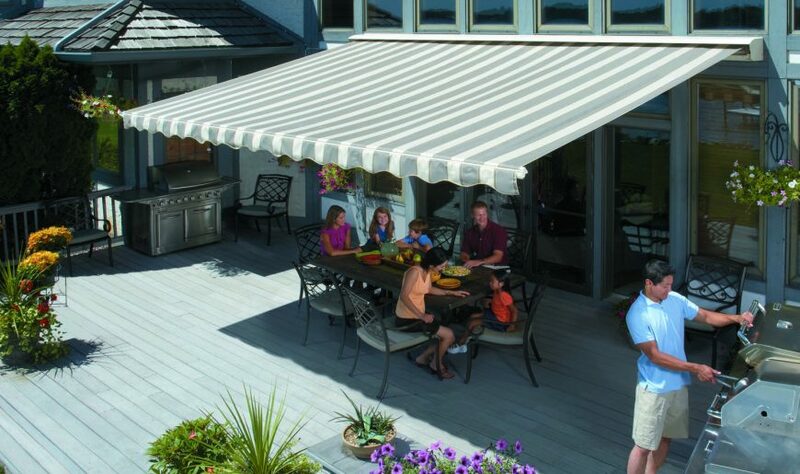 So the XL provides the maximum in coverage, shade, and protection.